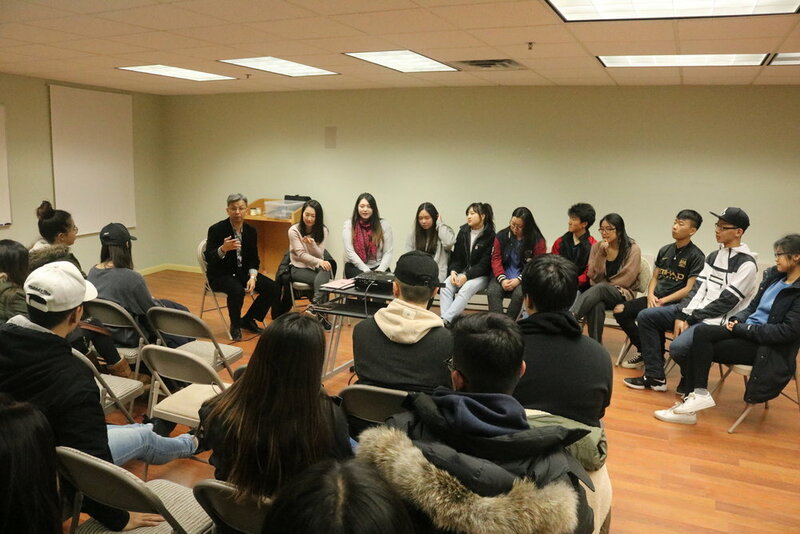 This last session we were fortunate enough to collaborate with Esther Ha Foundation and have Dr. Soo-il Lee to come in and speak to the students about Mental Health. The session began with an introduction to “Blame”, “Embracing Vulnerability”, and “Empathy vs Sympathy”. Then we had a moment of sharing our thoughts and feelings with a partner of how we felt at the moment after watching the introduction videos. The students were able to listen to other students and leaders speak and empathize with their feeling. Also the students were given the chance to embrace their vulnerability by sharing their feelings with those they may or may not be comfortable with. After working as a whole, the session broke into 3 smaller group for about an hour for a more intimate workshop. 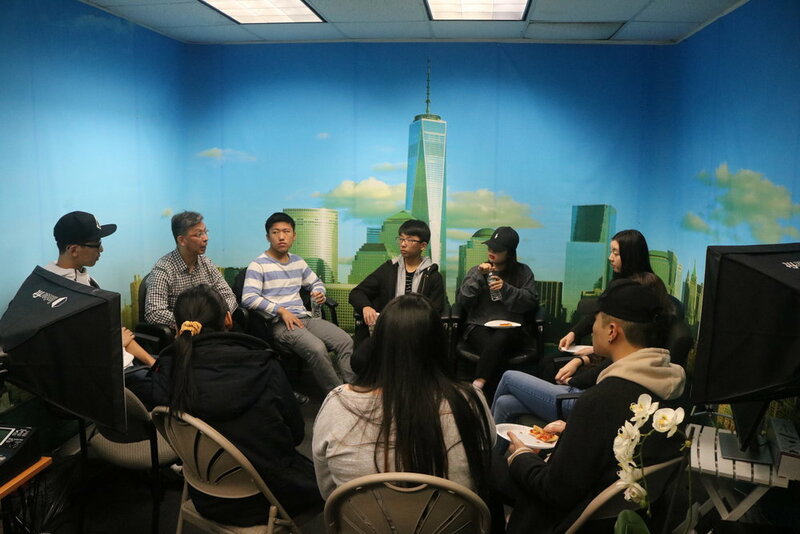 The students were put into groups of 7-8 students per group to actively learn how to embrace their individual vulnerability and empathize with each other. Overall, the students learned that embracing vulnerability is the “birthplace of creativity and innovation” (Brene Brown). Most of our students felt that the session overall had a meaningful impact. Although they were fully aware of the difference between empathy and sympathy, their views and understanding of the two had changed after attending the session. Being in keen with one’s emotional and mental health is a key aspect of character building of leaders. 이번 수업은 특별히 Esther Ha 재단과 함께하는 시간을 가졌습니다. Esther Ha 재단의 이수일 박사님이 오셔서 학생들에게 정신 건강에 대해 수업을 진행 하였습니다. 수업은 “탓", “취약한 부분을 수용하기" 및 “연민과 동정심의 차이"에 대한 소개로 시작되었고 동영상을 보고난후 생각을 공유하는 시간을 가졌습니다. 학생들은 다른 학생들과 지도자들의 감정에 대해 말하고 공감하는 것을 들을 수 있었습니다. 또한, 그들이 편안 사람과 혹은 그렇지 않은 사람들과의 감정을 공유함으로써 그들의 취약성을 받아드릴 기회를 얻었습니다. 더 친밀한 워크샵을 하기 위해서 한 그룹당 7-8명에서 약 1시간 동안 학생들이 각자의 취약성을 어떻게 포용하고 서로 공감하는지를 적극적으로 배울수있게 그룹으로 나눴습니다. 대부분의 우리 학생들의 반응에 따르면, 수업이 전체적으로 의미있는 영향을 미쳤다고 느꼈다고 합니다. 연민과 공감의 차이를 충분히 인식하고 있었지만 이번 수업 참석 후 이해와 인식이 달라졌다고 합니다.